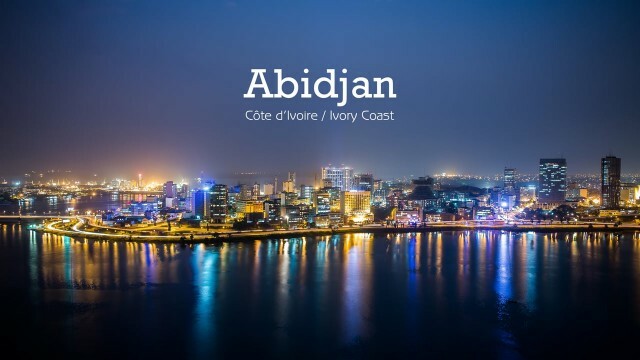 With a population of about 2.8 million, Abidjan is the capital of IVORY COAST and one of the most important ports in French-speaking Africa. Situated along the edge of the Ebrié Lagoon on the Gulf of Guinea, its ocean port handles cargo for Ivory Coast, BURKINA FASO, MALI, and NIGER. Principal exports are cocoa, coffee, timber, and petroleum. Abidjan is also a banking center for West Africa. The Krou and the Akan make up the two major ethnic groups living in Abidjan. The city’s numerous educational institutions include the national university, archives, museum, and library. There is a research center for coffee and cocoa in addition to schools for marine science, communications, and administration.